I usually subscribe to the mantra "less is more", but I'm still in two minds as to whether that applies with this lesson! 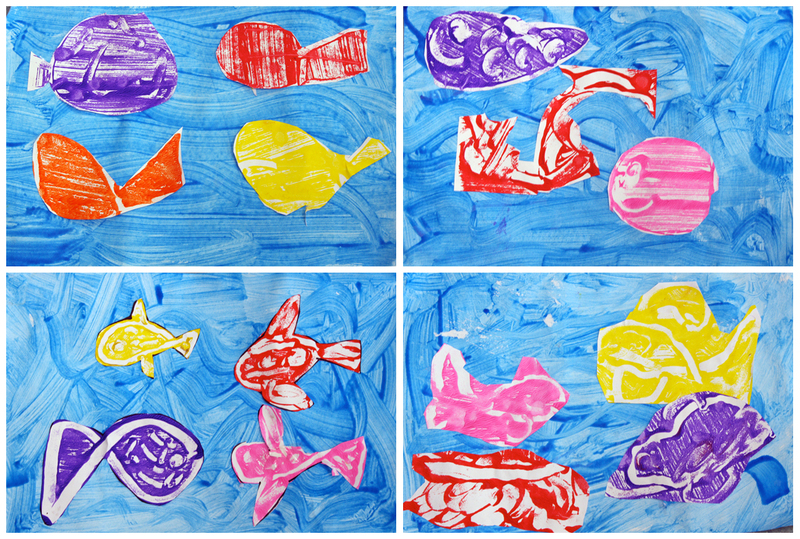 Although for the kindergarten class who created these artworks, getting their fingers in the paint was reward enough. 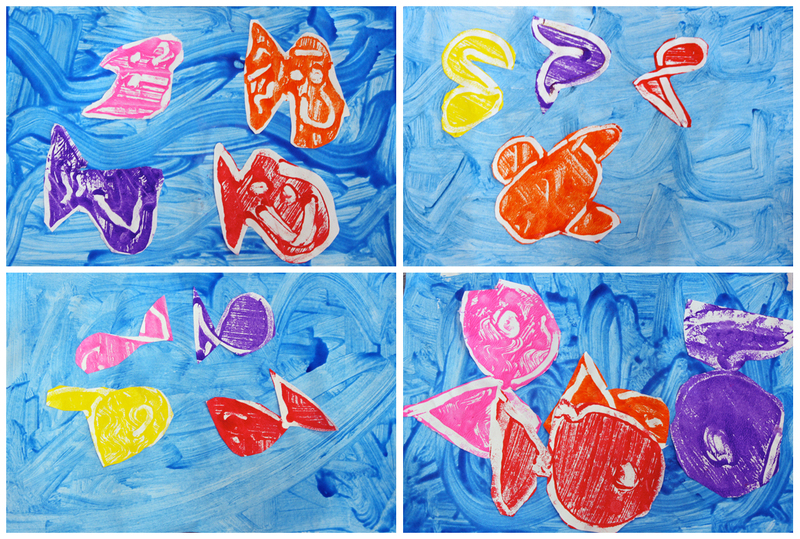 Maybe it would be more exciting if the children were able to add some seaweed or sand, or maybe these paintings should float home to adorn the fridge as they are — what do you think? 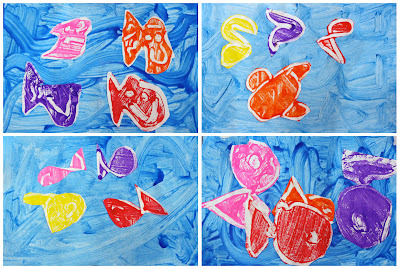 The blue water background was made with some slightly thinned regular classroom paint, painted on with brushes. I tried to encourage the children to notice and deliberately make water-like lines and patterns with their brush strokes. 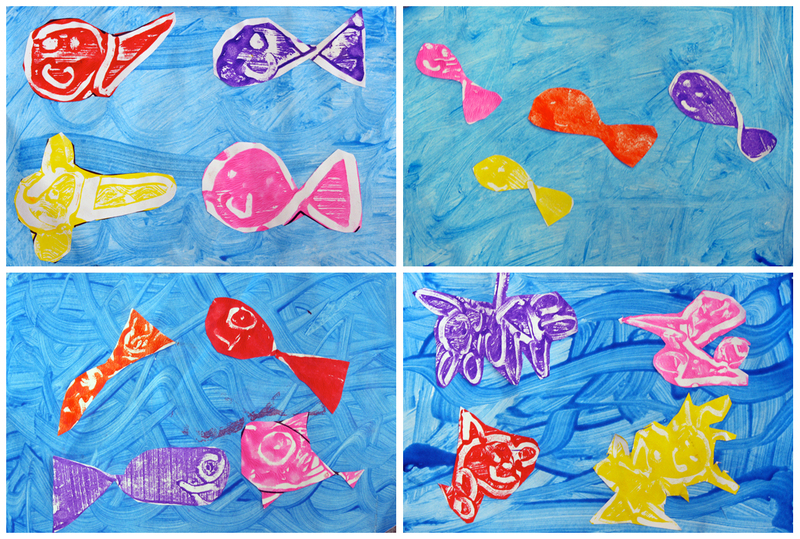 Next, each child was given four rectangles of paper, and they chose four colours before making separate "fish finger" monoprints. The prints were made using the same technique described in my Finger Paint Printmaking post, except in this instance they drew fish instead of lines. Once dry, the children cut out their fish and stuck them onto their watery background. 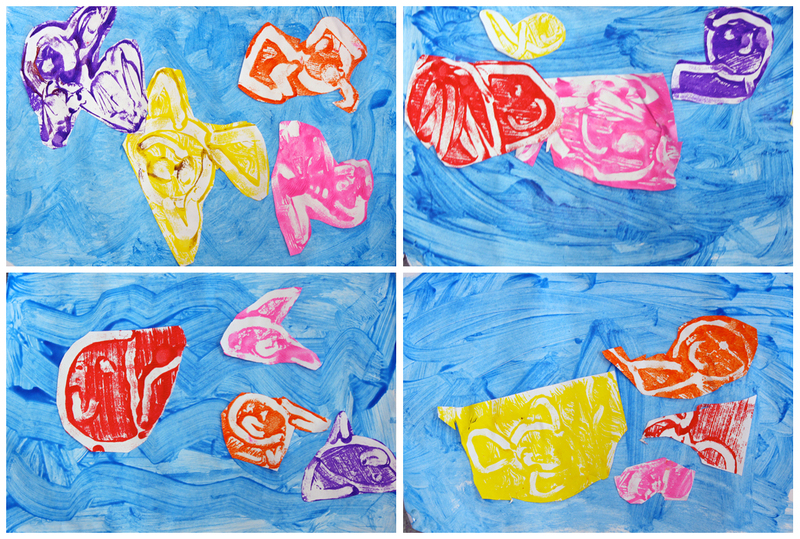 Most of the children were handier with the scissors than I expected, although a number of students found drawing the fish in the first place quite challenging. A day in kindergarten is always full of surprises though! 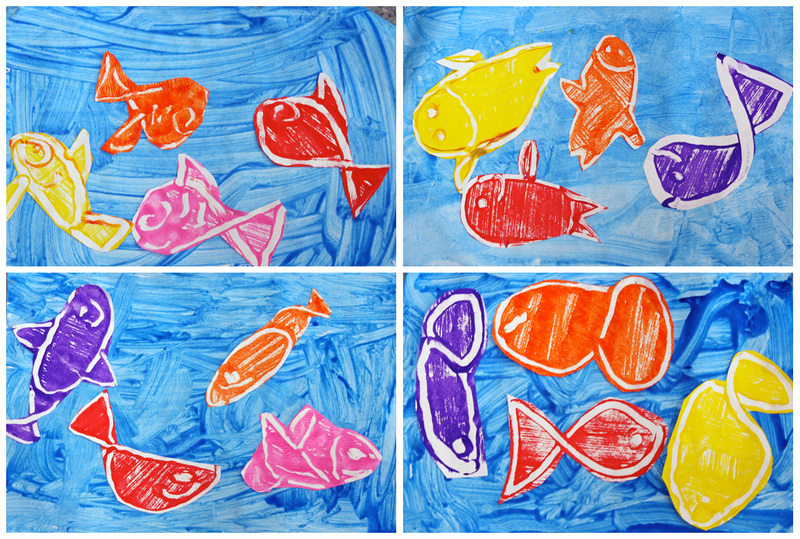 They are vibrant and the texture created by little fingers in the paint is excellent. I feel the joy the children experience surpasses what we expect in results every time. My five year olds were ecstatic when they drew their cave drawings under the tables. More than I could have hoped for. Very cute, and I really like the 'hands in' approach - makes it so much fun! Hello Joe! Sorry for my English, I use translator. If you do not want to mess both tables, you can use other media (provided they are waterproof). 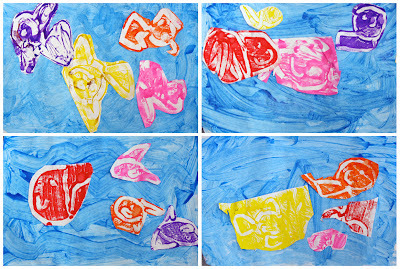 I've made ​​laminated catulinas join (one per child) of different sizes. Each student inks or paints his support, makes his recorded and then when it ends wash with a sponge and saved for another time. I hope to serve you this advice. A hug from Barcelona.